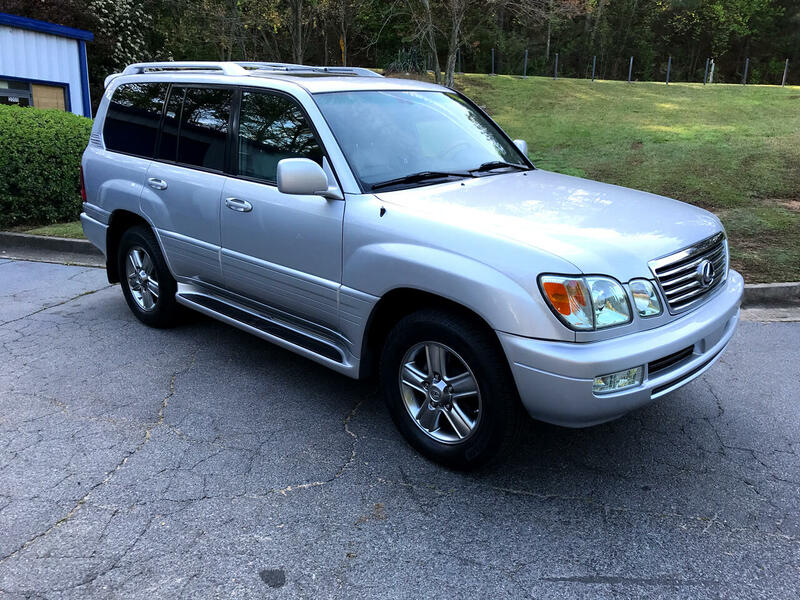 Used 2007 Lexus LX 470 4WD 4dr for Sale in Marietta GA 30060 Persichetti Motorsports Inc.
ONE-OWNER, LOW-MILAGE, RUST-FREE LX470! CLEAN CARFAX, FULLY SERVICED, DON'T MISS IT!!! THE ADVERTISED PRICE INCLUDES A $299 DOCUMENTATION FEE. As brokers, we buy and sell hundreds of vehicles each month, allowing us to find and offer a very select few. Because we receive our vehicles from premium dealers in the area (LEXUS, MERCEDES, PORSCHE, LAND ROVER and other luxury stores), we have access to cars in exceptional condition before they enter the retail market. Our wholesale position in the market affords us the opportunity to buy and sell these select vehicles without the overhead most dealers experience, and provide you with a better car priced below retail stores. Message: Thought you might be interested in this 2007 Lexus LX 470. 2000 Airport Industrial Park Dr.